I’ve been experimenting with different recipes using lemon and this is another keeper. 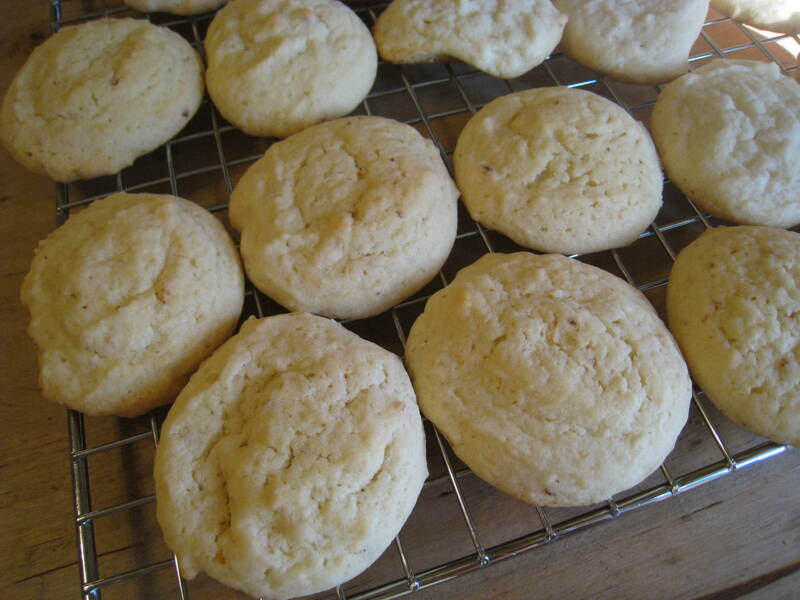 It’s a little different than the other lemon cookies I make, but they’re just as good. They have a light butter lemon taste. My husband says they taste like shortbread cookies, but they’re super soft! Preheat oven to 350 degrees. Line two cookies sheets with parchment paper and set aside. In a large bowl, beat together with electric mixer, butter and powdered sugar. Then, add egg and lemon juice, beat until fluffy. Add flour, baking powder, baking soda and lemon zest and beat at low speed until well combined. Use a medium cookie scoop or a tablespoon full rounded into balls and place 2 inches apart on cookie sheets. Bake 10-12 minutes or until cookies are starting to brown on the edges. Cool on cookie sheet for a couple of minutes, and then move to wire rack to finish cooling.